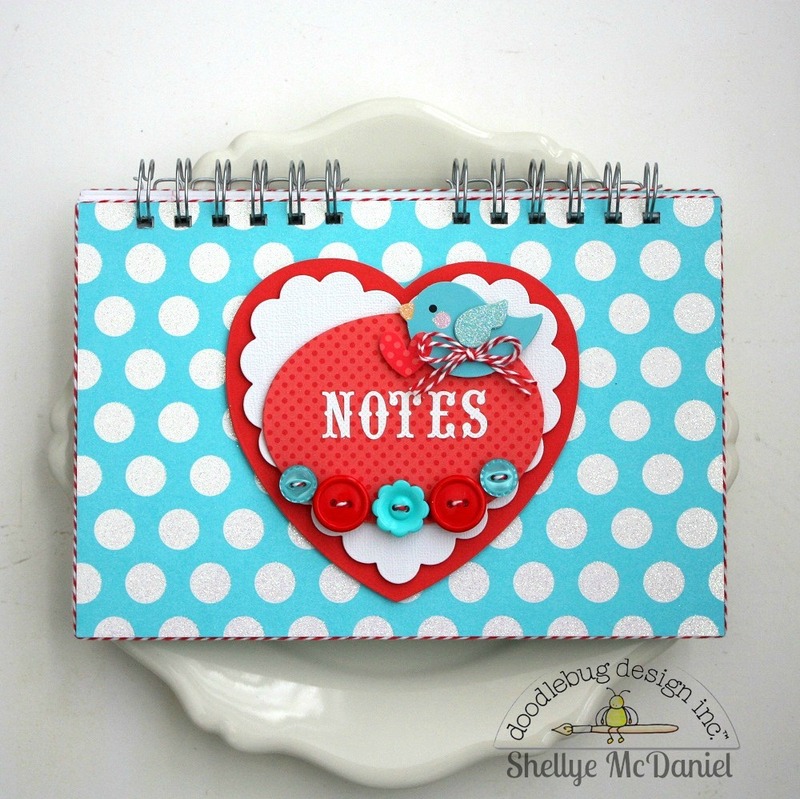 Hello, Doodlebug friends...Shellye with you today! I have quite a fun and easy DIY notebook that would be perfect for gift-giving or for yourself (I'm keeping mine!). 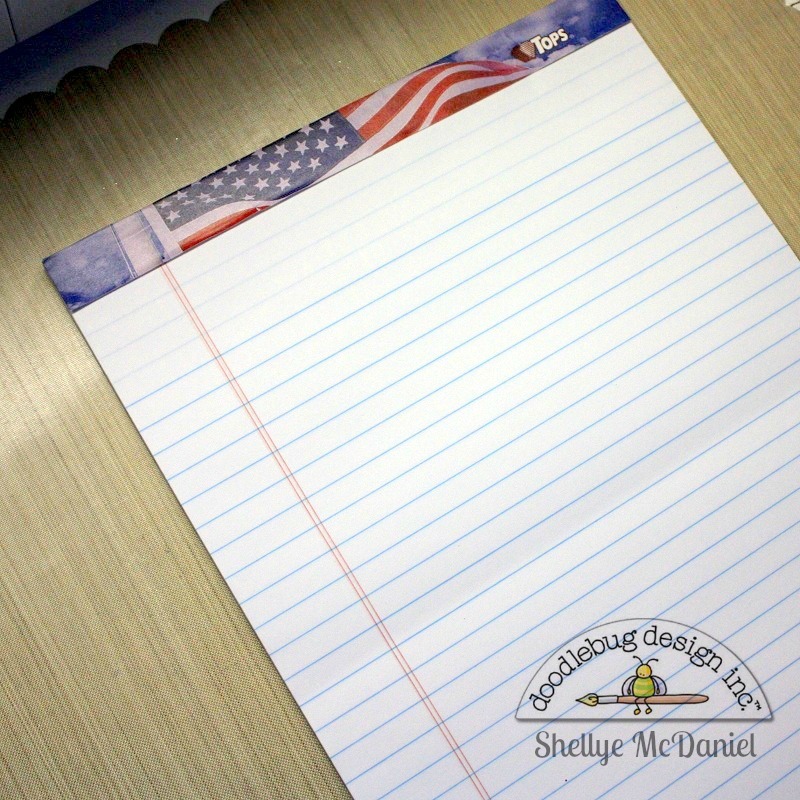 To begin, you will need a standard legal-sized note pad. You can usually find these in bulk at wholesale clubs or office supply stores if you're wanting to make several of them. 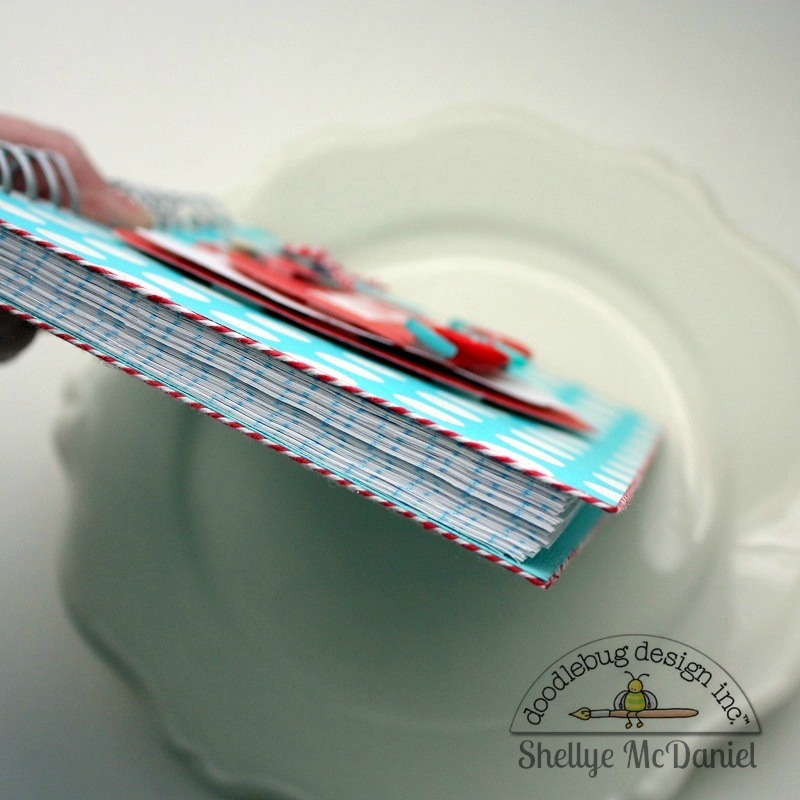 Remove the pages by carefully tearing along the perforation; you can remove a few at one time so that it's not too time-consuming. 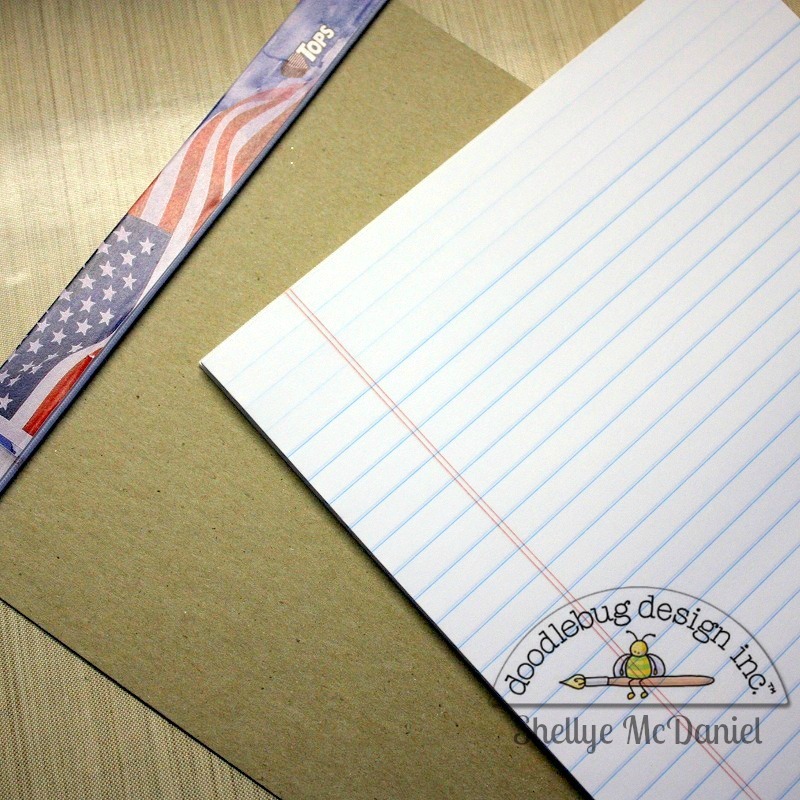 Next, remove the top tab that held the pages in place; reserve the chipboard backing and discard the top tab. Find the center of the papers and cut each one in half; you can also cut several at one time to save time. Next, cut the chipboard backing in half. 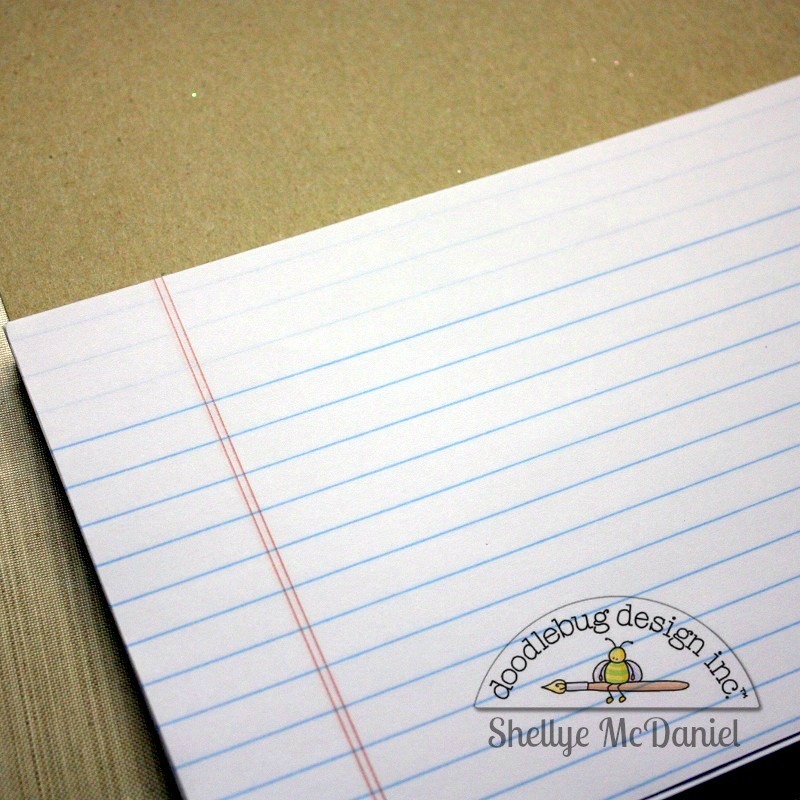 Although the width of the chipboard will be the same as the notebook pages, you should have enough of the chipboard to allow for a 1/8" to 1/4" overhang on the length. For my notebook, I chose to cover the inner pages of the chipboard with the "Swimming Pool" Textured Cardstock; just cut to size and glue in place. 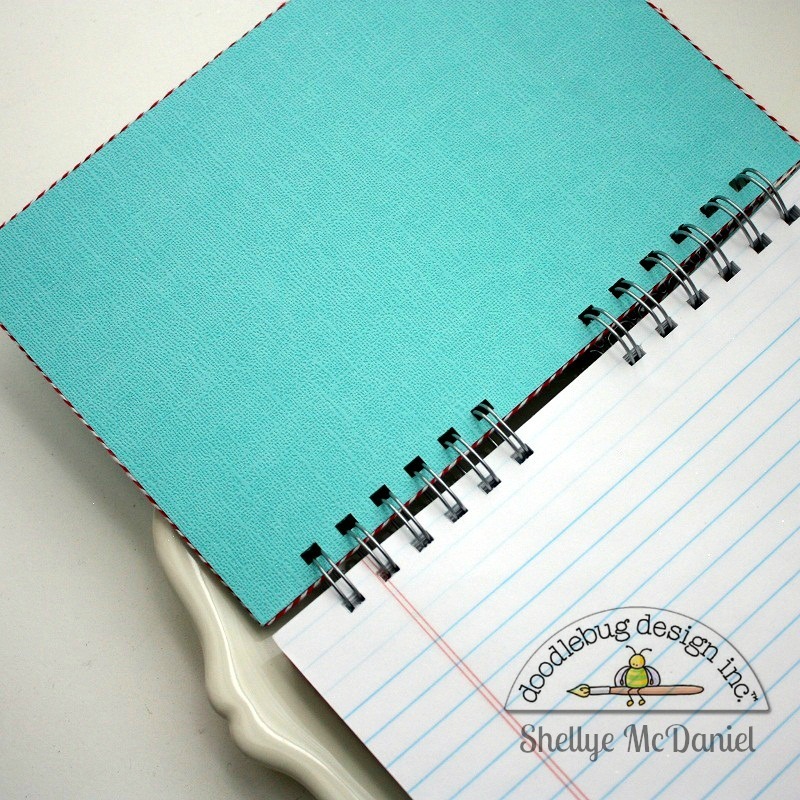 Before embellishing, bind your album (at the top or side, whichever is preferred) with your favorite binding system or punch holes at the top and insert a couple of loose-leaf rings through. 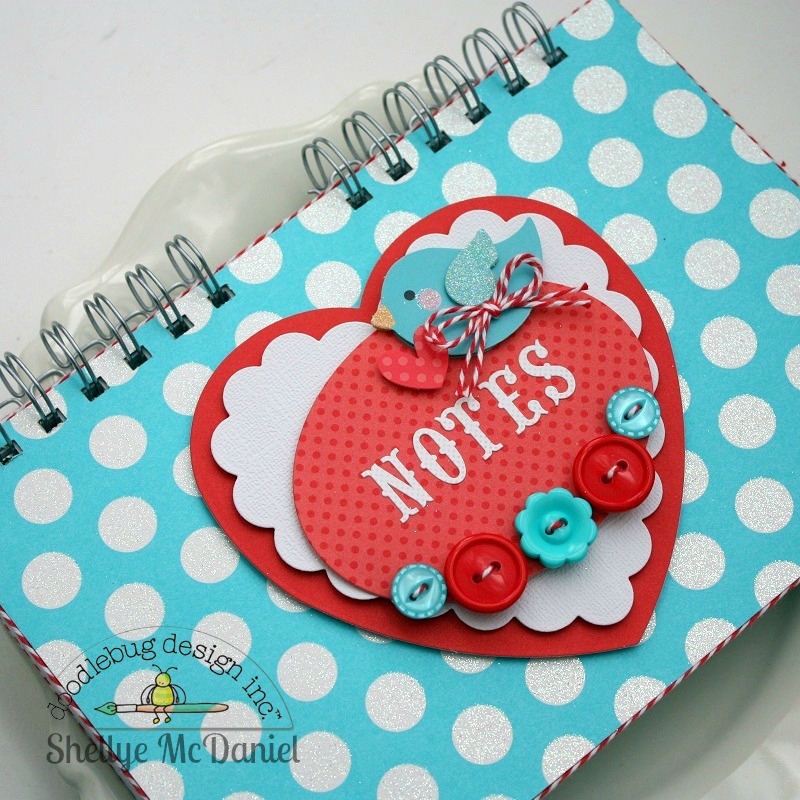 For the front and back covers, I used the Swimming Pool Candy Dots Sugar Cardstock to cover the chipboard. From the Ladybug Textured Carstock, I die-cut a heart and then topped with a Lily White scalloped heart that I also die-cut. 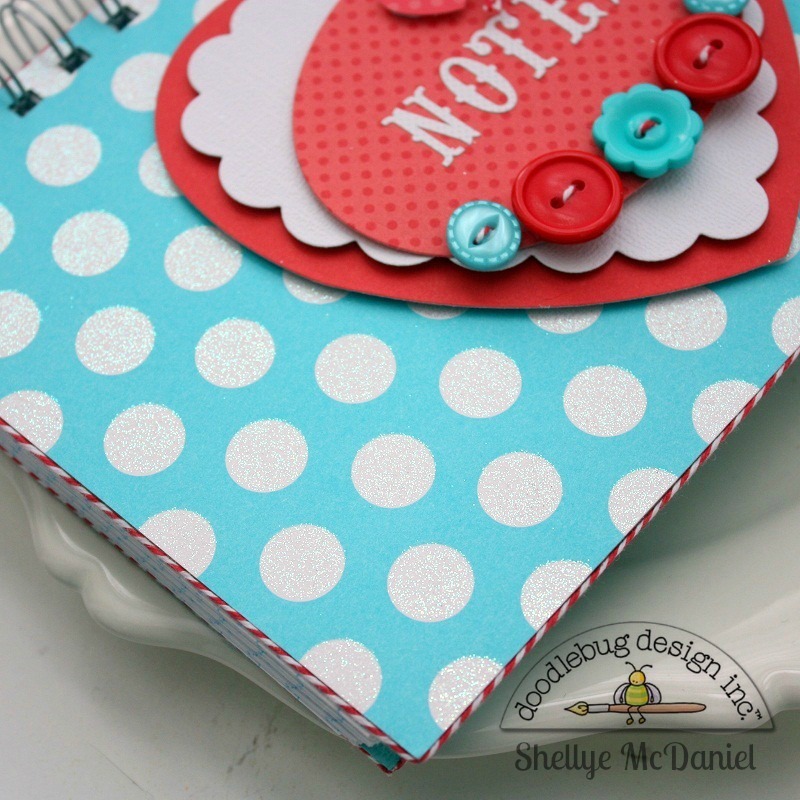 A small oval was cut from the Ladybug Dot-Grid Petite Prints Paper and then the word "Notes" was spelled out with the Lily White Love Letters Stickers. When spelling out a title, I like to find the center letter, apply it to the center of the paper and then work my way out from both sides. After lacing the buttons with Doodle Twine, I attached them with a 3D adhesive dot. In finishing, I outlined the edge of the cover pages with Doodle Twine. To do so, I use a fine point glue pen and then press the twine into the glue. I have found that this method keeps the twine in place really well! What a precious little book! 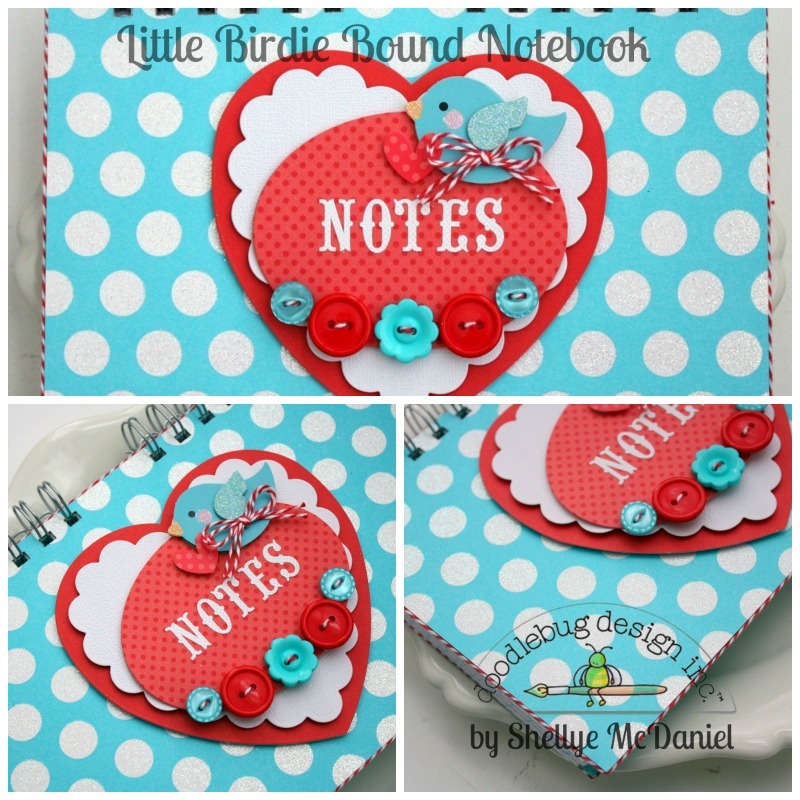 LOVE the colour combo AND, by adding the twine around the edge, you have turned PRETY into WOW!!! great idea, thanks. Now I want a Zutter or whatever that binding system is called lol.